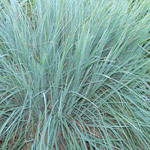 Threadleaf blue star is a very ornamental, clump-forming, native perennial. The clusters of blue flowers will attract butterflies & hummingbirds. 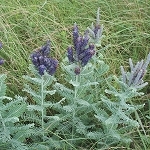 Deer generally don't browse this showy, long-lived plant. 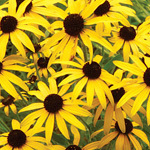 After flowering, cut the stems back 8 to 10 inches to enourage regrowth and a more rounded shape. 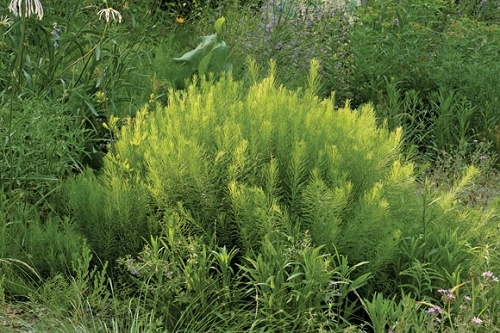 The "pine needle" foliage will turn a pleasant shade of yellow at the end of the growing season. This is an excellent specimen for container gardens. Seed: Start looking for ripe seed in mid July and try to harvest it before mice do. We've had good germination after 7 weeks of cold, moist stratification.